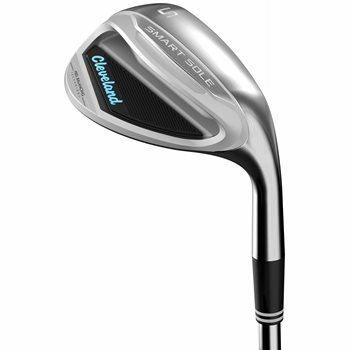 The Cleveland Golf Smart Sole 3 S wedge features an extra wide, three-tiered sole with three distinctive activation pads for better turf interaction and maximum forgiveness. Feel Balancing Technology provides ultimate consistency with greater feel and tighter shot dispersion to get you closer to the hole. The Smart Sole 3 S promotes helps you escape the sand with fewer strokes. Feel Balancing Technology removes weight from the hosel and puts it toward the toe. This moves the CG closer to the middle of the clubface, giving a solid feel at impact.